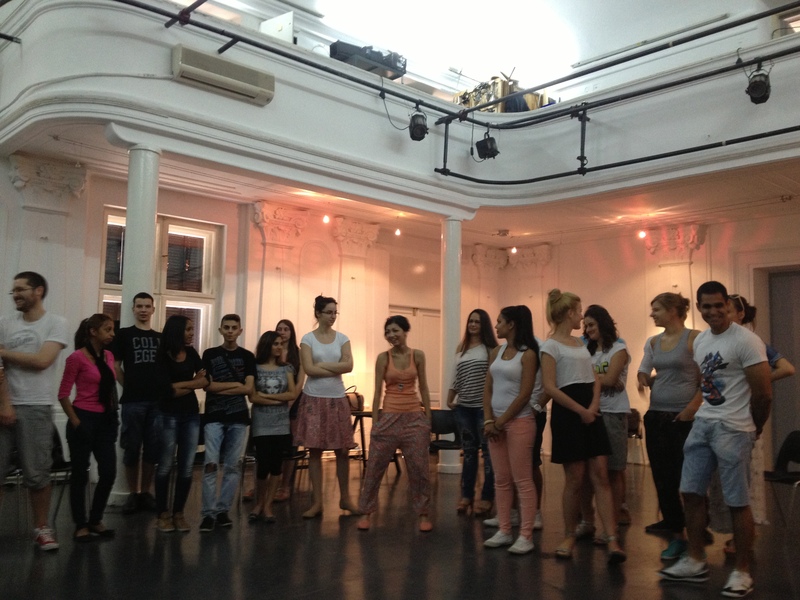 – Natasha Tasic Knezevic, a Roma opera singer with the National Theater in Belgrade, during a training session for the Reclaiming Roma Adolescence Project on June 22, 2013. Organized by the FXB Center for Health and Human Rights, the Center for Interactive Pedagogy, and Save the Children-Belgrade, the Reclaiming Roma Adolescence Project is a participatory action research initiative with Roma and non-Roma youths aged 15 to 24 in Belgrade, Serbia. The aim of the project is to address the marginalization of the Roma community by creating and empowering the next generation of youth leaders. Earlier this year, 21 adolescents, both Roma and non-Roma, were selected to participate as researchers. They were enrolled in training and educational sessions before beginning their fieldwork. Margareta Matache and Carrie Bronsther, members of the FXB Roma project team, spoke with the adolescent researchers in Belgrade about their motivations for joining the project, their experiences thus far, and their expectations and hopes for the study. While all the researchers are actively engaged in the project and excited about their involvement, each brings a unique perspective. The researchers, who have been engaged with the project for one month, articulated their expectations and hopes for the long-term outcomes of the study. “I am glad to meet all the young people in this project. I enjoy very much working with them, and I think each and everyone is trying to do something,” Tafilj said. The researchers are thoughtful, motivated individuals, and the project organizers are excited to see them conduct research, analyze the results, and work for change.